We install, service, repair and replace plumbing systems and parts in strict accordance with the highest industry standards. We are forthright and truthful in our dealings with customers, employees, vendors, and other stakeholders. We keep our promises. 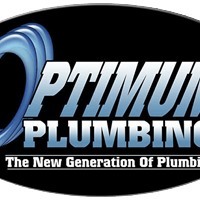 We adhere to all laws, regulations and ordinances that pertain to the plumbing industry as prescribed by federal, state, municipal and county governments. We practice proper financial and accounting procedures in accordance with all laws governing business.We maintain the highest quality customer service to encourage repeat business and enduring relationships with our customers.